Mold is one of the most dangerous things that can invade your home. It is silent. It is sneaky, and you never know it’s there until it’s too late. It grows in dark, moist conditions in the most unexpected places, and can have a serious impact on your health if not eliminated, quickly and completely. Timberline Restoration does all of that and more! 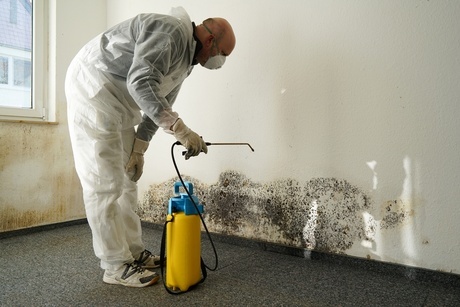 Our local company offers a full range of mold remediation services and testing as well. We use the industry’s most biodegradable, antimicrobial, human and pet-safe chemicals to preserve and protect your home environment, and we provide dedicated attention to detail from start to finish. Every visit from us begins with a thorough assessment that includes laboratory air test, and ends with a friendly follow up to ensure everything is as it should be in your home. Q. Does Bleach Kill Mold? A. No, it only kills organic materials on the surface, but the mycelia below the surface are not affected and the mold simply will grow back. bleach contains water which introduces more moisture and makes the problem worse. Q. Is There One Color Of Mold That Is Worse Than Another? A. No, it is all a fungi. Colors don’t necessarily mean anything.